Traveling was never some much fun! 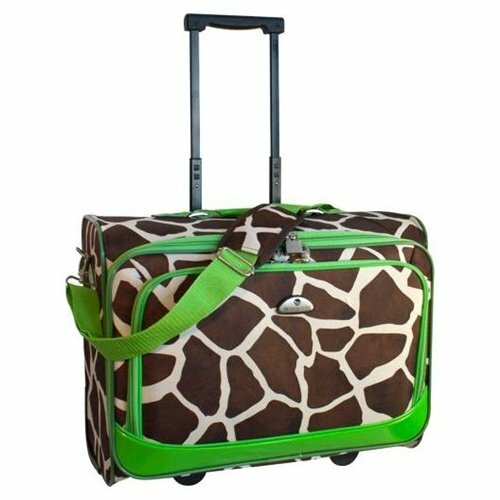 Stylish Giraffe Print with green trim carry-on luggage. 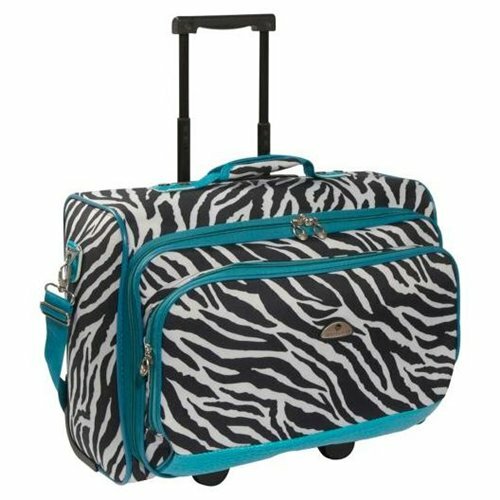 Underseaters are the perfect travelware to pack. The durable polyester is the best protection against elements. Sturdy frame construction adds maximum protection and durability. Recessed telescoping handle system makes getting from point A to point B a breeze. Exterior pocket holds important items in an easy to get to exterior pocket.